Naturally, much of the basic structure of the spherical-torus energy field discussed in the last chapter can be seen in magnetic fields. Tesla was the first to discover that magnetic fields are continually rotating, though no adequate explanation for this has ever been given until now. It is also not known why good magnets will continue to last for well over 1000 years without decreasing in strength. In our new model, a bar of iron ferrite or a metallic planetary core is not required for a magnetic field to form; the field is created when aether 1 (A1) and aether 2 (A2) flow together in the basic spherical-torus form. The north-south orientation of the molecules in the magnet simply allows this energy current to be harnessed. Most importantly, the advanced physics of Dr. V.L. Dyatlov have clearly demonstrated that these formations can only emerge when two forms of aether are blended together, known from Terletskiy’s model as “physical vaccum of matter” or PVM and “physical vacuum of antimatter” or PVA. The key here is that “Vacuum Domains” represent what happens when A1 and A2 blend together without being able to stabilize fully enough to create lasting matter/energy. They very actively draw from the surrounding gravity and torsion-wave energy to try to stabilize themselves, and thus create anomalous effects. We can also visualize them as a “bubble” of one aether that has been introduced into the other, similar to what would happen if we suddenly release oil into water. In that case, we would see spheres of oil appear, but they would only last for brief moments. Briefly, we will bring back an excerpt from our previous volume that shows the different forms that these domains can take, as seen from the work of Dr. Aleskey Dmitriev and Dr. V.L. Dyatlov. According to the authors, this is the most well known and studied anomalous phenomenon, and it displays all nine VD properties. Most scientific papers do not mention any effects of levitation occurring with ball lightning, but this is simply because the ball lightning is so small that it would be hard to see. The typical formation of ball lightning will be between 10 and 30 centimeters in diameter. Some have reported seeing dust particles rotating inside of ball lightning. Here we have objects that may be seen with the naked eye as bright balls of light, and may show up even better on film if they are photographed. They usually appear near the areas of the Earth where there is the most energetic activity, in the form of earthquake-producing faults in the crust. They have similar properties as ball lightning, and in this case the large-scale effect of levitation is more likely to be seen. The authors refer us to a case in Russia known as the “Sasovo explosions,” described by A. Yu. Olhovatov, where these formations were witnessed as being capable of levitating objects as well as producing the explosive effects mentioned in property number 7 in the above list. The images in the study show these clearly. While some cases of “haunting” may involve real entities in a nonphysical form, others appear to be cases where a VD penetrates through the walls of a person’s home. In these cases, a ball-like, slightly glowing energy is seen that can levitate objects, create electric and magnetic fields, spin the water inside drinking glasses and fishbowls and also cause damage to people. If the phenomenon is seen to occur repeatedly, it might be because the house is built over an area of the Earth that is more energetically active and thereby capable of producing these formations. Certain people, especially disgruntled teenagers, are able to direct the movement of these formations, since they are inherently created from intelligent energy. All of us are familiar with the violent funnel-like cloud formation of a tornado, which can create immense damage and levitate objects essentially intact. The study of tornadoes is so important that Dr. Dmitriev actually tackles it in an entirely separate paper entitled “Electrogravidynamic Concept of Tornadoes,” also on the Millennium Group website. In 1951 in Texas a funnel passed over an observer at a height of 6 meters, the interior having a diameter of about 130 meters with walls of 3 meters’ width. Inside the hollow there was a [pulsating] brilliant cloud, [or central oscillator.] There was no vacuum inside, because it was easy to breathe. In other cases, “swarms of ball lightning” and other luminous phenomena including “continuous glowing light” and “continuous lightning” are seen in and around tornadoes. Other anomalous phenomena involving gravity and the interpenetration of matter [were discussed in the previous volume as well, since aetheric energy displacements to higher densities frequently occur in tornadoes.] The idea of an “air suction” to explain the anti-gravity effects inside a tornado is not sufficient, especially if a person can breathe inside. This term refers to a special kind of radar interference that all systems must contend with. In the early days of radar, there were cases where blips appeared on the screen that appeared to be airplanes or missiles. The engineers realized that these were not actually physical objects and referred to them as “angels,” and now radars are built so that they will not mistakenly detect these formations. The authors suggest that “angels” are the same as “natural self-luminous formations,” as they both occur directly over tectonic faults. In the case of NSLFs, they are detected just above the faults, whereas “angels” are typically detected some kilometers above the faults. These were seen on ultraviolet images of the Earth taken at high altitudes. About 20 times a minute, large black holes are seen to form in the upper ionosphere, each of which is approximately 30 miles wide. The conventional hypothesis, put forth by those who discovered this, is that these holes are being produced by “small comets” of snow and ice. However, if this many comets were constantly hitting the Earth, they should be also colliding with the Moon as well, but there are no tremors on the Moon’s surface to correspond with such events. Therefore, the authors consider that these may be caused by vacuum domains as well. 7. Ionospheric and atmospheric explosions. In this case, the name is self-explanatory. Many people have heard spontaneous loud explosions with no apparent source, and without any signs of inclement weather. These explosions are associated with luminescent forms of spherical geometry that have also been seen to penetrate matter. 9. “Sprites”, elves and jets. These anomalies have only been recently discovered, and conventional explanations for them are still fairly weak. Above thunderstorm clouds, brief and very large flashes of light can appear up to 100 kilometers in height. They often appear blue or red depending on their height. Most importantly for Dmitriev et al., these formations are often associated with the most intense groupings of lightning strikes that are moving from the clouds to the ground. This suggests that the lightning is somehow combining with energy from the Earth to cause these luminous flashes to form. 10. Luminescences associated with earthquakes and volcanic eruptions. According to Dmitriev et al., almost all earthquakes and volcanic eruptions are accompanied by the sighting of luminous formations. They may be seen before, after or during the events themselves, and therefore are very closely timed with the events. In our previous volume, the above ten points were then followed by another observation that Dmitriev and Dyatlov had missed – the enigma of “NASA UFOs,” which are spherical energy forms that have been detected on many different pieces of NASA footage. These appear to be originating from within the Sun. Another candidate for “Vacuum Domains” is the “Rods” phenomenon, where helical tubes of faint, luminous spiraling energy are seen to be zipping around at high speeds on certain videotapes. It is possible that these documented “Rod” sightings are of vacuum domains whose spiraling central axis is more visible than the surrounding sphere. These formations certainly have their place in a Unified cosmology, and they help to show us the reality of the existence of A1 and A2, since Dyatlov has rigorously demonstrated that we must have two different “aethers” that blend together in order to solve the puzzle of their formation. However, in this chapter we are more concerned with the stable, commonly observed structures in our Cosmos that demonstrate the unified model that we set forth in the previous chapter. On his Living Cosmos website, Richard Pasichnyk revealed that almost all the planets have been observed to either have a visible ring or a current of energy that emanates out along the flat plane of the Equator, which is known as the ecliptic. Saturn simply has the most visible ring out of all the planets, but the majority of the others have been found to have them as well. No solid conventional explanation exists for this. Furthermore, most of the planets are orbited by several spherical moons that also trace a perfect path through the ecliptic. In addition, certain planetary atmospheres such as that of Venus have been seen to actually physically rise and lower in height, revealing a planet-wide “breath” just like the central oscillator. The ionosphere of Venus can change from a height of only 200 kilometers to several thousand kilometers within a 24-hour period, and the height of the cloud deck (atmosphere) moves up and down by as much as one kilometer, or 0.62 miles, across the entire planet’s surface simultaneously. This is known as the “steady breath” of Venus and occurs over a four-day cyclical period. Pasichnyk also developed the concept that the center of a planet is not actually metallic, but a form of glowing plasma-energy similar to that of our Sun. This evidence is presented in detail in our previous volume, and shows us another level of how a planet is a microcosm of the Macrocosm. We will have more to say on this when we begin discussing evolution. This suggests a greater mystery underlying the structure of the Solar System that science has not yet understood; if continuous creation is somehow occurring, then perhaps a solar system could eventually grow into a full galaxy, and the Parker Spiral field would eventually fill with stars, thus creating the galactic arms. As we go on, such a notion will seem less and less preposterous. Everyone knows that a galaxy is a disk of stars, planets and gas that forms along a flat, ecliptic plane. This spherical halo is known to account for the majority of gravitational force exerted upon the galaxy, causing it to rotate as if it were one unified spherical object. This is definitely not how our Solar System behaves, where Mercury orbits the Sun more quickly than Pluto. Figure 7.3 – NASA artist rendition of “axial jets” emanating from within a galactic core. "We have no good idea how this radiation is being produced," says Purcell. The GRO map indicates, however, that the high-altitude radiation connects with the radiation at the galactic center. Although its resolution is limited, the map suggests that the emission is part of a stream of matter and antimatter rising from the center. Radio images hint at a similar pathway. Some sort of activity "is building up and breaking open a hole in the plane of our galaxy and pouring gas into the galactic halo," Dermer asserts. Although the source of the annihilation radiation is debatable, there is no dearth of candidates in the crowded environs of the galactic center. One likely suspect is the black hole, estimated at about 1 million times the mass of the sun, thought to reside at the core of the Milky Way. Black holes are believed to produce jets of matter and radiation that could generate the gamma-ray emission observed by GRO. MILKY WAY IN THE LABORATORY? A plasma with a spiral-shaped pattern of particle density, similar to that of the Milky Way galaxy, has been created stably in the laboratory, supporting the possibility that fluid dynamics effects rather than gravitational ones may be responsible for our home galaxy's structure. Injecting a hot argon plasma (rotating at supersonic speeds) into a cold, stationary argon gas, researchers in Japan (Takashi Ikehata, Ibariki University, ikehata@ee.ibaraki.ac.jp) observed a spiral-armed structure (with low-density halos of charged particles) that persisted for as long as they kept rotating the plasma. In Ikehata et al.’s experiment, the hot argon plasma was rotating at a very high speed and the cold argon gas remained stationary. This creates a very similar condition to one of counter-rotating fields, since the stationary gas provides resistance to the rotating plasma much as the counter-clockwise movement of A2 resists the clockwise movement of A1. The first black hole proponents were ignorant of quantum fluctuations in the universe that affect everything from light particles to gravity, Mottola and Mazur observed. Before a black hole could form (in a collapsing star,) quantum effects would change space-time around an imploding giant, kicking off a radical phase transition akin to when liquid water becomes ice. The shift to a new state would lead to the formation of an exotic new object, the gravastar, a condensed bubble enveloped by a thin spherical shell of gravitational energy. In a paper submitted to Physical Review Letters, Mottola and Mazur argue that gravastars are consistent with classical laws of physics but do not have embarrassing inconsistencies as do black holes. Moreover, from Earth they would appear much the same as classical black holes. Therefore, those chaotic dense hot spots throughout the universe that astronomers consider indirect proof of black holes could just as well support the existence of gravastars, they say. And the shape of the “astoundingly brilliant” gravastar? You guessed it – a spherical torus with ejected “rings” emanating along the ecliptic plane. Thus, the mainstream really isn’t as “lost” as many still assume, since here we have an article that is openly discussing the “aether,” simply calling it the “quantum medium” and ascribing fluidlike properties to it with the analogy of the fish in water. The breakthrough research of Dr. Halton Arp has revealed that our current method of calculating stellar distances known as “redshift” is inaccurate, and that once we correct the distortions that were introduced, we find that the majority of superclusters are truly spherical in shape, with the largest concentration of galaxies in their center. We know that this is the case with our own local supercluster, which has a massive sphere of galaxies known as the “Virgo cluster” in the center. Arp’s work also concludes that the high-intensity bodies known as quasars are actually the seed-forms for new galaxies, ejected from older, maturing galaxies and connected to them by visible filaments. This will be covered in much more detail in later chapters. Lastly, we bring in the data from S.N. Kimball’s Symmetric Theory. The Broadhurst et. al. pencil-beam laser surveys of 1990, as well as other studies, have revealed that there are walls of galaxies in the Universe that are separated by vast tracts of empty space, 128 megaparsecs in length. These walls extended for the full distance that the survey was capable of observing, exceeding a 2.5 gigaparsec range, which is a quarter of the way across the entire hypothetical Big-Bang size of the Universe! As astronomers measure redshifts for additional galaxy superclusters, the three-dimensional architecture of the universe becomes more evident. New redshift surveys, reaching ever further into space, are benefiting from fiber optics and increasing automation. A fresh analysis of current redshift catalogs offers some evidence for a periodic arrangement of superclusters, separated by voids, on a scale of 120 megaparsecs (about 390 million light years). Great walls of galaxies on this scale have been discerned before but the apparent periodicity is new. The researchers suggest that a new theory might be needed to explain the sort of immense 3D- chessboard structure they seem to be finding in the data. The “chessboard” vision fails to see that the “walls” that were found by a pencil-beam laser survey will likely extend around 360 degrees to form spiraling arms, forming a Super-Galaxy via the fractal principle. And there’s still more: in 1994, Lauer & Postman discovered that the walls of the Super-Galaxy have a steady velocity, and are all moving in the same direction – they are rotating. Lauer & Postman’s data was then analyzed statistically in 1995 by Strauss et al., who concluded with a confidence level higher than 95% that these observations of large-scale rotational velocity were accurate, thus ruling out all popular Big-Bang models in the process, which cannot account for such large-scale structuring. Figure 7.4 – Nodland and Ralson’s discovery of a “Universal Axis”, or anisotropy cone. So if we indeed see that the Universe is a Super-Galaxy formation, then our next question is if it also has a Universal Sphere with a central axis. Borge Nodland and John Ralston’s Anisotropic Universe theory indeed reveals just that. They found that the torsion fields that exist throughout the Universe, naturally causing rotation of particles as they travel, are not evenly distributed, but rather form a Universal Axis. (The word “anisotropic” means “not equal in all directions.”) Nodland and Ralston. found that the closer a particle in space is to this Universal Axis, the more torsional spiraling movement that it will experience as it travels along; it is a subtle but quite measurable effect. Now two researchers, Borge Nodland at the University of Rochester (bnod@lle.rochester.edu ; 716-275-5772) and John Ralston at the University of Kansas (ralston@kuphsx.phsx.ukans.edu ; 913-864-4020), have studied polarization rotation data for 160 galaxies and have perceived that in addition to the Faraday effect, there seems to be an extra mysterious angular dependency at work. Indeed, the rotation varies consistently with the angle across the sky, as if the universe had an axis… One possible explanation might be the existence of "domain walls" between different realms of the cosmos, as prescribed in certain particle physics theories. This article not only supports the idea of a Universal Axis, but of structured “domain walls”, as we just discussed, as well. So, Nodland and Ralston have effectively demonstrated that the flat disk of the entire Universe must also be surrounded by an energy field in the shape of the spherical torus – a sphere with a central north-south axis. The vortex flow of A1 and A2 causes the axis to have the greatest amount of energy spiraling through it, thus exerting the greatest degree of torsional spin on all matter in the vicinity. Nodland’s team does not see this as a complete spherical torus, but they do have the “double cone” structure that we observe in the central area of such a torus in their illustrations. As seen in Figure 7.4, one pole of the axis is in the direction of the constellation Sextans, and the other in the direction of the constellation Aquila. Though Nodland and Ralston obviously see this as just a coincidence, it is certainly possible that these constellations were named by the inheritors of the ancient mysteries, who were well aware of the positioning of the Universal Axis. As we indicated in Chapter 15 of our previous volume, the central axis of the spherical torus in the Solar System is often associated with leading souls to a higher plane outside of the sphere of human development, much as the legend of Aquila the eagle would “lead souls to immortality.” The Scandinavian world-tree known as the “Yggdrasil” has an eagle poised at the north pole of the sphere. Along similar lines, Dr. Paul LaViolette shows how the constellations of the Zodiac that surround our own Galactic Center are designed to point directly at that spot, again suggesting an ancient knowledge of the physics. So, we are indeed presenting a model of an inflating Universe instead of a Big-Bang, where everything suddenly appears all at once. This is not as far from conventional scientific thought as some may think. Put simply, this means that all the matter-energy believed to be spontaneously created in the Big Bang could not have been crammed together all in one area. The unidentified energy source is the counter-rotational movement of A1 and A2. Every data point that we have gathered so far creates a compelling case. And in addition to the above facts, we must remember that we are dealing with a unified system of spherical vibrations (pulsations) that behave according to simple musical (harmonic) principles. Now, if we wanted to prove that such a model was indeed accurate, then we would need to find a harmonic unification that persisted throughout the Universe. If every object of matter-energy is being formed of fluidlike “aether” from a Great Central Oscillator, then there should be a single musical ratio that forms a “master link” for the entire known Universe, on all levels of size. Controversial physicist Ray Tomes has given us a vital new model that indeed unifies this entire puzzle with the science of harmonics, or musical vibrations. The Great Central Sun continues its rhythmic movement, and intersecting wave-pulses are created which follow the laws of music and vibration, as we said. Spherical-torus energy formations are produced of all different sizes in the Universe, such as moons, planets, the Sun, the galaxy and the Universe itself. Miraculously, Tomes discovered that the average distances between all of these spherical energy formations at each size level in the Universe are precisely interconnected by a single musical ratio – 34560. If we take the average distance between moons and multiply it by a factor of 34560, we get the average distance between planets. Take the average distance between planets, multiply it by a factor of 34560 and we get the average distance between stars. 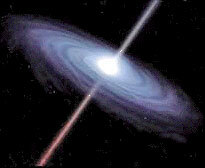 Multiply the average distance between stars by a factor of 34560 and we get the average distance between galaxies. 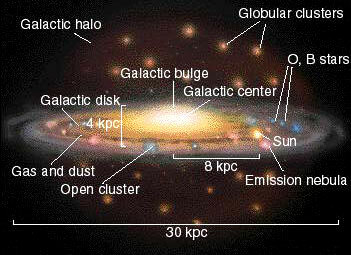 Take the average distance between galaxies, multiply it by a factor of 34560 and we get the size of the known Universe. The geometric formations created by fractal mathematics can be magnified exponentially, and no matter how deeply you “zoom in” to the formation, you still see the same geometric structures. Many “Chaos” theorists have already discerned that the Universe itself appears to work according to such logic in many different and mysterious ways. Compress the average distance between moons by two factors of 34560, and we get the average distance between cells, either plant or animal. Compress the average distance between cells by 34560 and we get the average distance between atoms. Compress the average distance between atoms by 34560 and we get the average distance between nucleons, which are the smallest natural “particles” in the Universe. Figure 7.5 – Ray Tomes’ discovery of the unified ratio of 34560 in the Universe. It is literally quite impossible that such a simple system could work so well from the quantum to the living cell to the super-galactic level, without requiring any elaborate fixes, shortcuts or math-a-magical hocus-pocus. Each of the averaged distance figures cited by Tomes have emerged from mainstream scientific studies, so there is no validity to the argument of skeptics that Tomes had “cooked the books” in any way. Tomes was simply the first person to discover that each of these different classes of spherical energy forms were partitioned and interrelated by a single, master harmonic ratio. Once we integrate our new quantum physics findings, we can indeed see the completeness of the model as it now stands. Furthermore, the utility of the 34560 ratio does not end with the remarkable facts that we have just stated. Other forms of aether vibrations, such as difference between the speed of light and other basic speeds of vibration / pulsation, shows this master harmonic of 34560 as well. This evidence comes from the work of Dan Winter, who went further into exploring the connections discovered by Tomes. As one harmonic example from Winter’s work, the speed of light in water is almost exactly ¾ of the speed of light in a vacuum, and ¾ is a standard musical relationship between two vibratory frequencies. Compress the speed of light by a factor of 34560 and we get the speed of sound. Compress the speed of sound by a factor of 34560 and we get the speed of heat. This, of course, is our next exposure to a very simple concept: the speed of light is by no means the highest speed in the Universe – as we have already said, it simply represents the highest speed that energy can travel through the aether in our own area of density. Cathie showed how the Earth’s harmonic measurements, such as the nautical mile of one minute of one degree at the Equator, represent a perfect harmonic yardstick for understanding and measuring universal energy. (Remember that the Earth must form according to harmonic principles, so this is no accident.) And, when Cathie calculated the speed of light by the number of nautical miles that it would pass through per grid second in a vacuum, he came up with exactly 144,000! 144 is the square of twelve and an essential number in the science of musical vibrations. Furthermore, the work of Lambert Dolphin and Barry Setterfield proves conclusively that the measured speed of light has been steadily decreasing by a small amount since it was first calculated. This finding came from a meta-analysis of literally every study on the speed of light that had occurred in history prior to 1980. We believe that this measurable drop in light-speed is due to an energetic boundary strength that we are now encountering as we prepare to move into an area of higher aetheric density in the galaxy, which is the central thesis of this book. For now, we should simply remember that the speed of light is directly related to that of sound and heat by the same universal harmonic ratio of 34560. If we want to explore the possibility of finding the 34560 ratio when we are discussing the density of matter, then we would need to look at cubical harmonics, i.e., harmonics of 34560 to the power of 3, since we are dealing with three-dimensional structures instead of two-dimensional distances between structures. Compress the density of ordinary matter by a factor of 34560^3, and we find the density of a neutron star, considered the densest object in the Universe. Relax the density of ordinary matter by a factor of (34560^3)^2, and we arrive at the density of the known Universe, which is predominantly what is now called “empty” space. All of these observations from Tomes and Winter only reinforce the idea that a central oscillator is creating pulsations throughout all the aether in the Universal Sphere. All of these pulsations are precise harmonic multiples of the time interval of one second, either in larger or smaller time intervals, and their primary harmonic wavelengths are all factors of the ratio of 34560. Tomes demonstrated that other harmonic ratios besides 34560 can determine the spacings between the stars and planets, but the 34560 ratio is certainly the most predominant one. His studies include a complete determination that all of our nearby stars are in precise harmonic relationships to each other in terms of their relative distances. The central oscillator concept also gives us an explanation for why we observe aetheric waves as spiraling, such as in Kozyrev’s experiments. No matter where we are in the sphere of the Universe, the aetheric energy is constantly undergoing more than one type of movement: the out-going and in-flowing pulsations of the central oscillator and the rotation of the sphere itself. These movements are duplicated at all different size levels throughout the Universe. Thus, any time that you create a wave that passes through the aetheric medium, the wave will always travel in a spiral, according to the geometry of how the varying movements intersect. The next question, of course, is whether or not these basic notions are provable. Is it possible to observe a truly complete and unified example of the entire complex of “Central Oscillator” concepts that we have suggested in the last chapter? Our first choice for this task might be a galaxy. Most people still believe that the center of a Galaxy is a black hole, even though we have never photographed one in our own Galaxy or anywhere else, merely inferred its existence theoretically. As seen above in Section 7.5, mainstream scientists are now admitting that the black hole theory must be discarded, and Dr. Paul La Violette, Dr. Halton Arp and others have long falsified the black hole theory. We have not yet made detailed enough observations of the central formation in our own galaxy to determine if it is, in fact, exhibiting a pulsating motion. However, with our own Solar System we have an excellent opportunity to study this “Central Oscillator” system in completeness. The full mechanism was inferred by Oliver Crane in his work, but is only truly solidified when we bring in the work of Ray Tomes and especially that of J.B. Stoneking in his “Stoneking Resonance Theory.” Our first glimpse at the mystery comes from a discovery of J.D. Titius in 1766, published by J.E. Bode in 1772 and known as “Bode’s Law.” This finding revealed that the planetary positions are indeed spaced according to regular musical intervals. Although this theory was widely accepted for more than a century, showing over 95% accuracy out to Uranus, it was eventually discarded after the discovery of Neptune, which completely broke the simple pattern that Bode had set forth – and Percival Lowell’s discovery of Pluto only made it worse. However, both Tomes and J.B. Stoneking found longer harmonic wavelengths that corrected the mistake and showed that Neptune and Pluto were indeed in their proper “musical” places, as seen in figures 7.6, 7.7 and 7.8. Even more surprisingly, we now know that the Sun is indeed a central oscillator! In 1962, R. Leighton et al. found that the Sun’s surface pulsates regularly. In the early 1970’s, several groups from the U.S., Russia and Great Britain confirmed that the Sun did indeed oscillate in steady pulses, its surface rising and falling by about 3 kilometers (1.86 miles.) This pulsation occurs in various harmonic intervals of a basic unit of time that was exactly five minutes, no more and no less, rising to a maximum value of 160 minutes. All doubts about this effect were eliminated when a team of French, Soviet and U.S. scientists gathered in Antarctica to carefully observe and measure the Sun for five straight days at the South Pole. Late in the month of December, the South Pole is aimed at the sun for continuous 24-hour days; in this environment, it never “sets.” With generally good weather and round-the-clock shifts, they observed the 160-minute oscillation period as well as the three-kilometer pulsation amplitude. Figures 7.6 and 7.7 – Stoneking Resonance affecting inner and middle planetary positions. In his 1998 paper, J.B. Stoneking calculated the wavelengths that were produced by each of the different harmonic intervals that the Sun produces, such as a five-minute pulse, ten-minute pulse, 80-minute pulse, 160-minute pulse, et cetera. When Stoneking ran these calculations, which are published in his paper, he found that there was a planet at the edge of each wavelength that he discovered, as we can see in the images. These “nodes” in the wavelength were the zones of least pressure, where all vibrations canceled out and allowed the planets to form. Furthermore, the entire heliosphere, formed by the Sun’s magnetic field, is exactly five 160-minute pulses deep. Figure 7.8 – Stoneking Resonance in the Outer Solar System. Furthermore, Stoneking discovered that each planet was positioned at a certain exact number of solar diameters away from the Sun. Each planetary orbit will fall perfectly in line with one of the “ripples” formed by the Sun’s pulsation through the aether as it resonates like a giant drum. The above diagram makes it appear that only the outer planets fit in with the Sun’s diameter, but the diagram is not to scale – and the diameter of the Sun is actually much smaller than the 160-minute pulse. This harmonic connection of the planetary positions gives the hard scientific data that Oliver Crane inferred in his “Central Oscillator” paper. Let us again think back to our original discussion of the Great Central Sun and how it formed an “onion-like” formation of nested spherical energy vibrations, caused by the spherical “ripples” of its pulsation interfering with each other as they move out and are then reflected back towards the center. Within our own Solar System, we must realize that these invisible energetic spheres are holding the planets in their positions. Normally we visualize planetary orbits by simply drawing an elliptical line in the direction of travel, but now we should equally see that they are held in place by invisible spherical waveforms, and driven to rotate along the ecliptic plane by the overall rotation of A1 and A2 as it forms the Sun and heliosphere. Some of the spheres are more “flattened out” than others, forming elliptical instead of circular orbits, and this is mainly due to the fact that the Solar System is also traversing and being affected by the forces in the Galaxy. Thus, when we view the true energetic structure of our Solar System, we see a series of nested spherical energy forms that are created by the Sun as it pulsates. Remember now, these are spheres that exist in three dimensions, not just along the ecliptic plane – they completely surround the Sun in wider and wider layers. Normally, they are completely invisible to us, though in our previous volume we have documented extensive examples where they were seen by initiates and mystics in out-of-body states. This dates all the way back to the ancient vision of Thothermes Trismestigus, who was visited by a dragon named Poimandres that symbolized Universal Mind in a similar fashion as Oriental cultures equate the dragon with wisdom. Let’s take a leap here and suppose that one of a planet’s resonant frequencies is equal to its mean orbital radius and that it radiates this reflection wave into the interplanetary plasma. Could other evidence be found that could support this idea? As we know, a triangle’s internal angles must equal 180 degrees. If you draw a straight line from the Sun to [either of] the Trojans, then to Jupiter and back to the Sun, it forms a perfect equilateral triangle with 3 internal angles of 60 degrees. This all means that the Trojans are as far from Jupiter as Jupiter is from the Sun: 483.3 million miles. The first point above shows us that the behavior of the Earth, in terms of its own rate of harmonic pulsation, is intimately connected with its distance from the Sun. This can only be possible with a “quantum medium” that exists between them in space. Then, the “triangle formation” that Stoneking mentioned between Jupiter, the Sun and the Trojan asteroids suggests that geometric forces are at work in the energy fields we are discussing, which falls in line holographically with what we have observed at the quantum level, as seen in previous chapters. Another key discovery that connects the Solar System to our quantum model has been published by Richard Hoagland and The Enterprise Mission, inspired by the pioneering work of Lt. Col. Tom Bearden. In Chapter 12 of the previous volume, we went over the anomalies of the planets, and covered some examples where the planets are seen to have a significantly greater degree of heat energy in the infrared spectrum than they are capable of receiving from the Sun. Several different models have been proposed in the mainstream for where this heat is coming from, and Bearden, Hoagland et al. have presented evidence that rules out these models. In the next figure, we see Bearden, Hoagland et al’s solution to the puzzle – namely that the amount of heat energy that each planet radiates out into space is directly related to how much movement is occurring in and around it. Figure 7.9 – Solar System-wide relationships between heat emissions and angular momentum. This model has confused many participants who discuss it on The Enterprise Mission’s discussion board. The key is in the fact that the amount of angular momentum that is calculated involves the body plus the satellites. The Earth rotates on its own axis, revolves around the Sun and also has the Moon in orbit. So, the figure of slightly more than 10^16 for the Earth on the bottom axis of the graph is the combined total of all the momentum in this system. Uranus, Neptune, Saturn and Jupiter’s specific angular momentum is also a function of the total amount of movement occurring within the planet itself and within all of its moons. It is clear from the graph that there is a very smooth relationship between the amount of momentum surrounding an object and its total heat emissions. Furthermore, it is clear that with the data we now have, the Sun appears not to fit into place along the same line. This discrepancy suggests that there must be at least one more planet in the Solar System that we have not yet found. Once all orbiting objects in our Solar System are known and accounted for, it is predicted that the Sun will also fit perfectly on this line. So how does this relate to quantum physics? It is actually rather simple. The more aetheric energy streams into an object or group of objects, the more angular momentum will go into the system. This energy relationship can be directly measured by the amount of light energy (luminosity) that the object is giving off, either in the visible or infrared spectrum. Such a relationship would be impossible if the planets were indeed separated from each other by “empty” space. However, in this model, known as Schuster’s Hypothesis, the more a planet or star moves through the aether, the more aether it gathers into itself. In our quantum model, we have the Biefield-Brown effect showing how negative charge in the electron clouds flows into the positively-charged nucleus. On a very tiny level, this atomic nucleus is actually a form of luminous plasma, just as we see in the sonoluminescence experiment, in thermal plasmas emanating from the Earth or in the Sun itself. The amount of luminous energy in the atomic nucleus is a direct function of how much aether is moving into it – and we can measure the amount of aether going into the nucleus as a function of angular momentum. So, this relationship between the Sun and planets shows that the Sun’s total energy output is directly related to the amount of movement in the surrounding planets, moons, comets and other matter. This movement represents how much of A1 and A2, the primary bodies of aetheric energy, is streaming into the object. If this aetheric model of the Solar System is indeed true, especially when looking at the precise phenomenon of Stoneking Resonance, then a very similar configuration would have to exist in all other planetary systems in order to be valid. As we reported in The Shift of the Ages, the very first extra-planetary system that humanity found with more than two planets was seen to have exactly the same characteristics as our own Solar System. Israeli astrophysicists T. Mazeh and I. Goldman have observed that the pulsar B1257+12 has at least three planets orbiting around it which have the same relative size ratios to each other as do Mercury, Venus and Earth. They also have the same relative distances from each other as do Mercury, Venus and Earth. The discovery of three planets orbiting a pulsar known as PSR B1257+12 has revealed a system with properties that almost exactly match those of the Inner Solar System, made up of Mercury, Venus and Earth. The similarities are so striking that it seems there may be a law of nature which ensures that planets always form in certain orbits and always have certain sizes; and it leads credence to the significance of a mathematical relationship [Bode’s Law] that relates the orbits of the planets in our Solar System, which many astronomers have dismissed as mere numerology. The three planets cannot be seen directly, but are revealed by the way in which they change the period of the pulsar’s pulses as they orbit around it. There is enough information revealed in the changing pulses to show that the three planets have masses roughly equal to 2.98 times the mass of the Earth, 3.4 times the mass of the Earth and 1.5 per cent of the mass of the Earth. And they are spaced, respectively, at distances from the pulsar equivalent to 47 per cent the distance from the Earth to the Sun, 36 per cent of the Sun-Earth distance, and 19 per cent of the Sun-Earth distance. The ratio of these distances [between the three observed planets, 1:0.77:0.4, is extremely close to the ratio of distances of the Earth, Venus and Mercury, which is 1:0.72:0.39. The indications are that there is a universal mechanism for the formation of planets around stars. If it works for systems as diverse as a pulsar and our Sun, the chances are that it works for all stars and that “Solar” Systems very much like our own may be the rule, rather than the exception, among the stars of the Milky Way. Reprinted from Astro Net. Thus, as Gribbin said, it is easy to predict that all other multi-planetary systems that are discovered will also be ultimately found to have similar characteristics, since this is what was observed in B1257+12 on our very first try. The underlying mechanisms of planetary formation will be the same, regardless of where we look. Let us also not forget that since B1257+12 is a neutron star, it is exactly 34560 to the third power more dense than the average density of the Universe. We remember from earlier in this chapter that the Sun was determined to have a pulsation of exactly five minutes in duration. Another interesting fact is that Alpha Centauri A, the nearest bright star to our own Solar System, has been measured as having a surface pulsation that is exactly seven minutes in duration. This was discovered by F. Bouchy and F. Carrier at the European Southern Observatory (ESO), using the Coralie spectrograph. This is the first time that we have been able to detect such pulsations on a neighboring star, and again perfectly in line with the harmonic second. It amounts to the star, 875,000 kilometers (544,000 miles) in radius, “breathing” in and out by only 40 meters (131 feet). To have the first extra-solar pulsation also be an even number of minutes in length is very compelling. The “Central Oscillator” model also suggests that multiple modes of vibration / pulsation will occur in certain stars simultaneously. This was seen in the Sun with the various harmonic pulses from 5 to 160 minutes in length, and has now been noted not just in Alpha Centauri A, but with the brightness variations of the star R Scuti as well. This next excerpt from Physics News says that R Scuti shows “chaotic,” or fractal patterns of oscillation, suggesting two or more different vibrational modes that are occurring at the same time. Detailed observations of the star R Scuti show that its fluctuating light emissions conform to the mathematical definition of chaos (J. Robert Buchler et al., Physical Review Letters, 6 February 1995). According to Zoltan Kollath of the University of Florida, this is the first strong evidence for chaotic emissions from a star. He and his colleagues assembled data taken over 15 years by numerous astronomers. They deduce from the star's light curve (emission as a function of time) the notion that the complex pulsation variability might result from the overlap of as few as two different vibrational modes in the star. It appears very likely that further observations of this nature will continue to reveal the importance of the second as a unit of time for pulsation again and again. And now, with the proper additional information in place, we return to the proof for our argument that the unit of time we call the second is indeed a universal standard of vibration. The Constant of Nineveh was found on the Sumerian clay tablets and decoded by NASA astrophysicist Maurice Chatelain, who dealt with gigantic orbital calculations for the Apollo missions. The Constant of Nineveh shows that all planetary orbits are perfect sub-divisions of one master cycle. This cycle is expressed as a value of seconds that is exactly 70 multiplied seven times by 60, or (70*60)7. Every known body in our Solar System has a perfect number of orbital cycles within this master number, right down to the second! A simple analogy for each planet would be how twelve eggs fit exactly into an egg carton; a certain number of each of the planetary orbital cycles will fit perfectly into the Nineveh Constant, with not even one second remaining. For example, Pluto has 25,000 cycles in the Nineveh constant and Halley’s Comet has 81,000 cycles. The Nineveh Constant is very roughly around 6.2 million years in length. The Nineveh Constant is also a sub-harmonic of even longer numbers recorded in the Mayan codices. The Wilcock Constant harmonically interconnects all the orbits of every object in the entire Galaxy in precisely the same way that the Nineveh Constant unifies the Solar System. This number is exactly 0.7 multiplied nine times by 60, or (.7*60)9. This number forms an exact figure, in seconds, for the true time that it takes the Galaxy to spin once on its axis, coming in just slightly under the commonly-cited value of 225 million years at very roughly 223.5 million years. Furthermore, the Wilcock Constant is exactly 36 times larger than the Constant of Nineveh. It is highly likely that further discoveries will confirm that this Galactic Constant is the master cycle for all planetary systems; these discoveries will be made by super-light speed space-travel technology that is already available, and whose theoretical basis is given in the previous volume. The Universal Constant was first seen in the work of Dr. Henry B. Myers, whose detailed mathematical analyses suggest that the entire Universal Sphere only makes one complete rotation during its entire life cycle. Myers’ calculations, integrating scientific knowledge with that of the ancient Hindu Vedas, show us that the true theoretical age cycle of the Universe is extremely close to being exactly 120 Wilcock Constants in length, or very roughly 26 billion, 820 million years. Myers estimates that we are only about halfway through this cycle at the present time. Myers’ work also demonstrates that the ancient Vedic astronomers were aware of this cycle as well. There is absolutely no possibility that any of these constants could be ‘accidental’, given their known precision; they are directly a function of the perfect vibrations of the second from the “heartbeat” of the Great Central Sun. We should never lose sight of the fact that all of these master constants are merely harmonic functions of 7 and 6 (i.e. 70 or 0.7 and 60) vibrating against each other, using the second as their basic interval of time. We will see the importance of the second when we study the vibrations of music as well, which will be explored later. Dr. O. Crane has concluded that the fastest speed for the Universal central oscillator is 1023 cycles per second, in order to account for our observations of the quantum realm. The frequency of 1023 Hz yields the elementary length of 10-13 cm, and likewise we have the elementary time period of 10-23 seconds. What Crane apparently did not see is that the pulsations must indeed be an exact harmonic subdivision of the second. One of the predictions that can be made from this model is that when a higher density of energy is fed into a spherical-vortex system, such as our Solar System in this case, we would expect that system to absorb this energy and undergo some very fundamental changes. We briefly alluded to some of the changes in our Solar System that have been observed in the introduction, but in the next chapter we will cover them in specific detail, along with more layers of proof to suggest that these changes must be caused by our movement into an area of higher energetic density in the galaxy. 1. Chatelain, Maurice. Our Ancestors Came from Outer Space. Doubleday & Co., Garden City, New York: 1978. Translated by Orest Berlings.